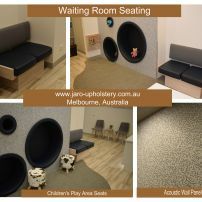 commented on "Waiting Room Seating"
A waiting room suitable for children! 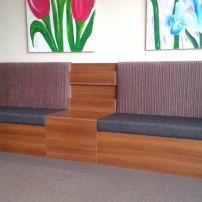 JARO can assist with acoustic wall panels and seating.installation. 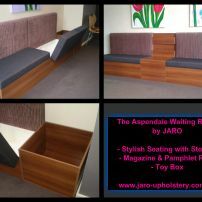 commented on "Stylish Magazine, Pamphlet Rack & Book Shelves for your Waiting Room, by JARO Upholstery, Melbourne"
commented on "Solid Toy Boxes for your Waiting Room, Melbourne & Gippsland"
commented on "Waiting Room Chairs, Seating Furniture custom made by JARO Upholstery, Melbourne & Gippsland areas"
Maximise your seating potential with quality solid seating! 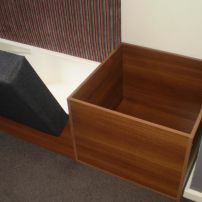 Toy Boxes and Pamphlet Racks available!